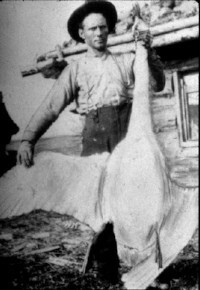 Market hunting to supply swan quills, feathers, and skins for Europeans, and loss of habitat, completely removed all Trumpeters from central and eastern North America by the early 1900s. The Trumpeter Swans now in the Interior Population are all from restoration programs that began in the 1960s using Trumpeters from Red Rock Lakes National Wildlife Refuge in Montana, and later, eggs from Alaska. These restoration programs are filled with many tales of adventure and partnerships. They demonstrate the dedication, passion, and commitment of individuals, agencies, organizations, and donors just like you to bring back the Trumpeter Swan to a vast swath of North America where it had been hunted to extinction. TTSS had a pivotal role with expert science based technical support in the major restoration programs. Today, over forty percent (27,055) of North America’s Trumpeter Swans are part of the Interior Population (IP). This is truly remarkable considering Trumpeter Swans were largely gone from the lower forty-eight United States by the late 1800s, due largely to market and subsistence hunting. Only a small number of Trumpeter Swans had remained in remote areas of the Yellowstone region of the Rocky Mountain Population. Today's Interior Population of Trumpeter Swans is the result of restoration efforts that began in the 1960s. The Interior Population includes Trumpeter Swans in the Central, Mississippi and Atlantic Flyways. Each Flyway has its own restoration story. Restoration first began in the 1960s at South Dakota’s Lacreek National Wildlife Refuge. The refuge brought swans and cygnets from Red Rock Lakes National Wildlife Refuge to begin the first restoration effort in the Midwest. The descendants of swans brought to Lacreek National Wildlife Refuge are found today in the Central Flyway and are known as the High Plains Flock. Their genetic lineage can be traced back to Red Rock Lakes National Wildlife Refuge and the Rocky Mountain Population. 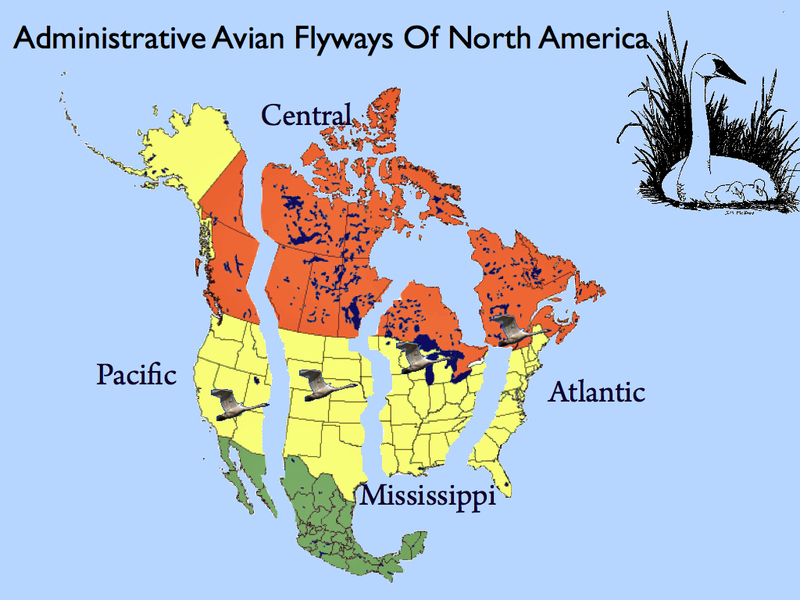 The Mississippi Flyway restoration began in the mid-1960s. Hennepin County Parks in Minnesota began Minnesota’s first Trumpeter Swan restoration efforts (and its leaders founded The Trumpeter Swan Society). Cygnets came from Red Rock Lakes National Wildlife Refuge. By the 1980s, the Departments of Natural Resources in Wisconsin, Michigan and Minnesota began state programs to restore Trumpeter Swans. 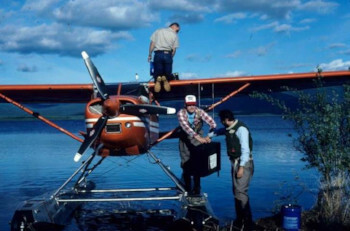 While some Red Rock Lakes swans were used, the states relied largely on Trumpeter Swan eggs collected in Alaska brought back for hatching and release. Iowa and Ohio began their restoration programs in the 1990s. Iowa continues to release Trumpeter Swans in the southern part of the state. In the Atlantic Flyway, Ontario began its restoration in the 1980s using eggs collected in Alberta (Rocky Mountain Population) with cygnets being raised by private breeders and pond owners to become breeding pairs for the Ontario program. Ontario also used Alaskan Trumpeter Swan eggs. States in the Atlantic Flyway did not begin restoration programs due to potential complications from existing Tundra Swans hunts. The Interior Population today ranges from South Dakota and Nebraska through the Great Lakes States to eastern Ontario and New York. Trumpeter Swans in the Interior Population are pioneering birds needing to create new migration traditions and find suitable and secure nesting and wintering grounds. 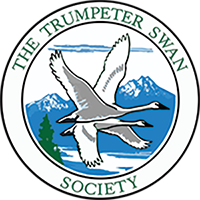 TTSS's Trumpeter Watch Program is your opportunity to help track migrations and new wintering and nesting sites. Interior Population Trumpeter Swans have been reported as far south as Texas, Arkansas, and Oklahoma, and as far east as Virginia, Maryland, and North Carolina's Outer Banks. The need to create new migration traditions between nesting and wintering grounds. The tradition of migration is a learned behavior and was lost when swans were removed from the region over a century ago. You can be part of recording history as it happens through our Trumpeter Watch program. Continuing mortality threats of lead poisoning and power line collisions. The potential conflicts between Trumpeter Swan recovery and Tundra Swan hunting. We are your voice on the Swan Committees of each Flyway to assure the vitality and welfare of wild Trumpeter Swans. 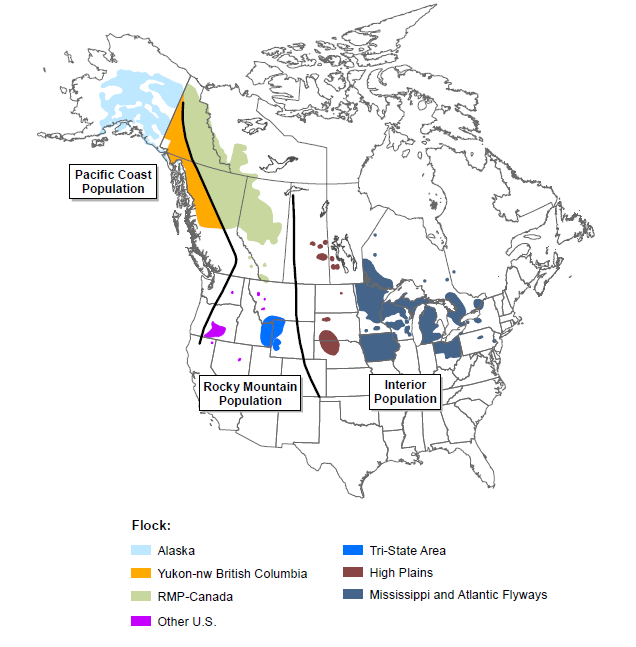 The Pacific Flyway includes the Pacific Coast Population and Rocky Mountain Population. The Central, Mississippi and Atlantic Flyway Trumpeter Swans are called the Interior Population. Learn more about Interior Population Trumpeter Swans in Arkansas, Iowa, Michigan, Minnesota, Missouri, Nebraska, Ohio, South Dakota, and Wisconsin. Learn more about the return of Trumpeter Swans to Ontario. Read the fascinating stories of the return of Trumpeter Swans to selected states and Ontario.